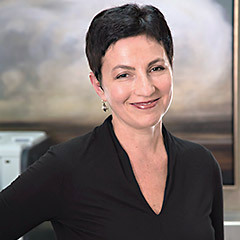 Dr. Perlman sometimes sees new patients who previously had implants placed and who are now having problems with them. Although the vast majority of implants are successful, a very small percentage of implants may develop complications requiring special treatment or replacement. Dental implants are the most lifelike and durable option for missing teeth. But like natural teeth, the surrounding bone and soft tissue around the implants are still susceptible to the accumulation of oral bacteria that can harm the supporting bone structure. As with traditional periodontal disease, early diagnosis and treatment is key to saving the dental implant. Dr. Perlman and his experienced hygienists provide the comprehensive periodontal evaluation and maintenance that is crucial to their patients’ implant health. Painful swelling around the implant area can mean there is a problem with your dental implant. Implants have demonstrated a very high success rate. However, when complications happen, the main sources of difficulty are caused by infections, incorrect implant placement, poor fit of the attached restoration (teeth), or the failure of implant integration with the jaw bone. 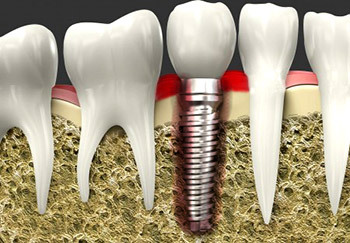 An implant can be set in the wrong position or placed where there is inadequate bone support. Sometimes the implant is placed properly but the bone surrounding it fails to integrate with the implant. In either case, normal biting and chewing forces will cause instability of the implant and it can become loose. It is also more susceptible to infection when unstable. Most infection takes the form of a special type of gum disease known as peri-implantitis. Peri-implantitis is characterized by infection of the gums and bone loss around the implant and can be caused by a number of factors, including poor oral hygiene, smoking, dental cement for the crown getting under the gum line, and health problems such as diabetes. Rarely, it can be the result of excessive pressure on the implant caused by a problem with bite alignment. If left untreated, the infection and continued bone loss can lead to implant failure. 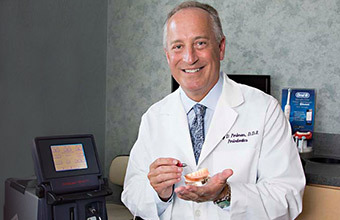 Dr. Perlman is highly skilled and experienced in diagnosing and treating dental implant complications. In order to treat peri-implantitis, Dr. Perlman uses the minimally invasive LAPIP (Laser-Assisted Peri-implantitis Protocol) to restore the supporting bone structure of the implant to a stable and healthy condition. Dr Perlman utilizes gentle and highly focused lasers to destroy the bacteria, remove the infected tissue and stimulate bone regeneration around the implant. If the bite is misaligned, Dr. Perlman will readjust it. He will also scale the surface of the implant with the laser’s scaling tool. In rare instances where it is found that the implant has failed and cannot be saved, Dr. Perlman will outline and explain the treatment needed to place a new implant. If you are experiencing any of these problems or have any other questions regarding your dental implants, come in for a full exam. 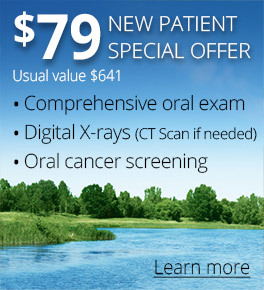 Dr. Perlman can answer your dental implant questions.